In 2000, the Partnership for Higher Education in Africa (PHEA) was launched by four institutions based on the belief that higher education was critical to Africa’s renaissance. The initial partnership included The Rockefeller Foundation, Ford Foundation, the John D. and Catherine T. MacArthur Foundation, and the Carnegie Foundation of New York and a few years later, three Foundations; Mellon Foundation, Kresge Foundation and Hewlett Foundation joined PHEA. 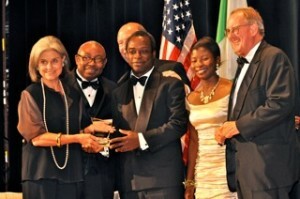 In 2004, after several years of supporting higher education in Nigeria, the John D. and Catherine T. MacArthur Foundation, under the leadership of Jonathan Fanton challenged a small group of Nigerian professionals concerned about the future of Nigeria to carry on the work of helping Nigerian Universities to build their capacity and become self-sustaining. The NHEF was established in 2004 as a 501©3 organization with seed funding from the MacArthur Foundation, and our Board is comprised of successful and highly respected Nigerians in a number of fields. Since then, we’ve made steady progress toward fulfilling our mission of promoting excellence in higher education and in achieving our vision of assisting key universities in Nigeria to become self-sustaining by raising public awareness and support for them.